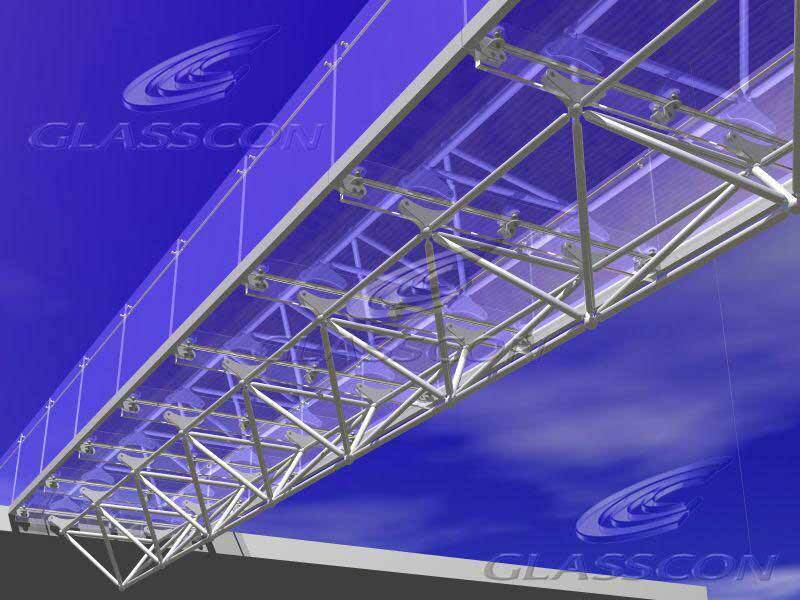 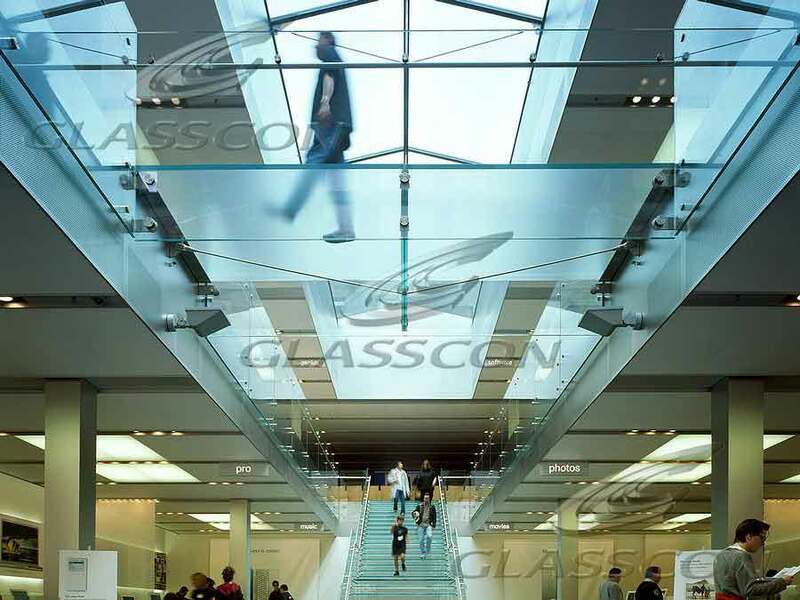 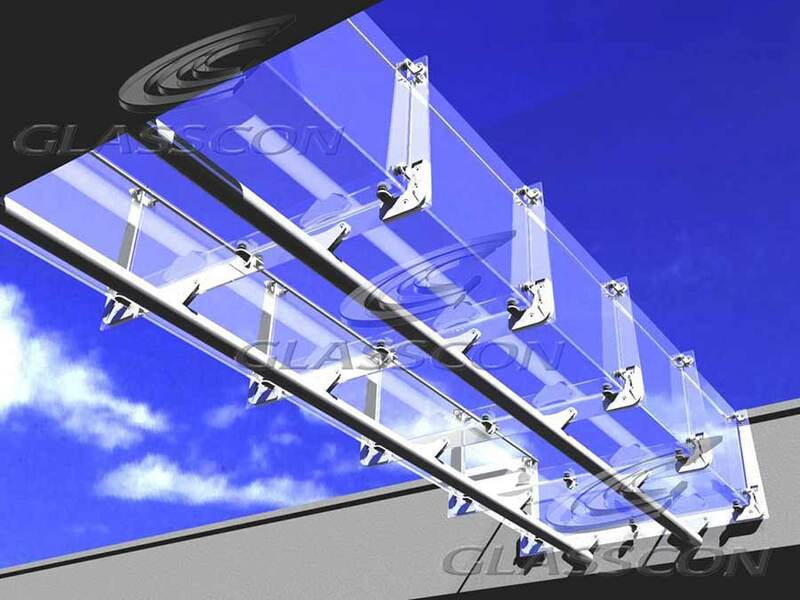 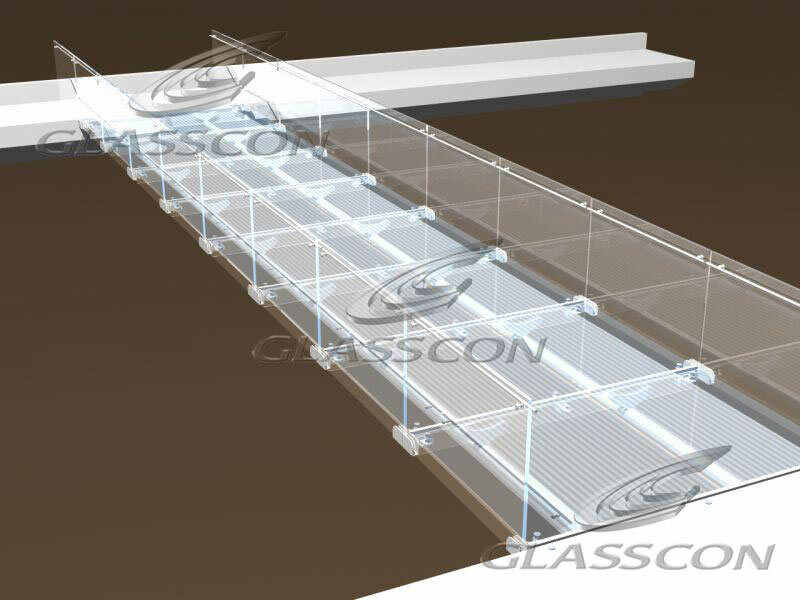 GLASSCON designed and constructed several pedestrian glass bridges in a shopping mall. 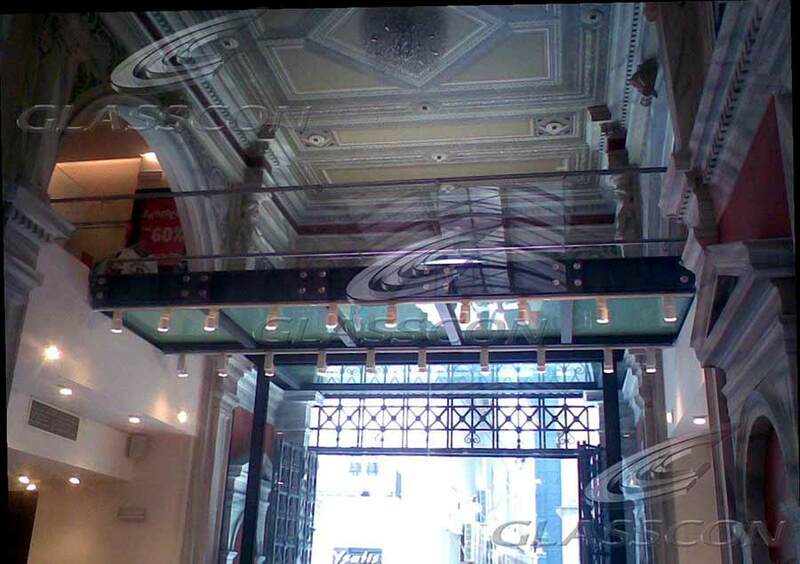 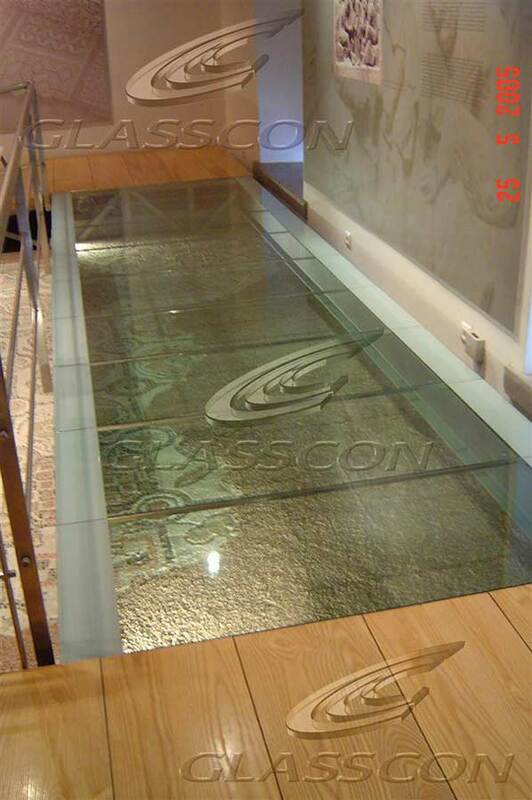 The glass panels are treated with a silk printing design that provides an antislip surface. 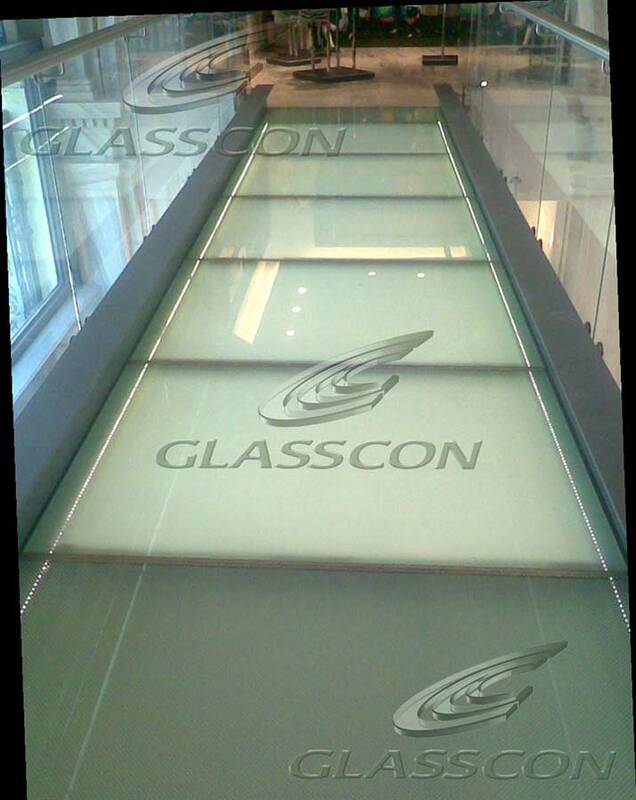 GLASSCON designs, manufactures, delivers and install all kinds of glass walkways surfaces, glass stairs, glass staircases, glass flooring systems, glass floors, structural glass flooring, structural glass floors, glass floor walking surfaces, floor glaze, fire-rated glass floors, glass floor panels, glass bridges, glass links, glass-staircase, glass-stair, glass-floors, glass-floor, glass-flooring, glass treads.